Edison Research has posted a new report titled The Podcast Consumer Australia 2017. The new geographic focus of the survey offers analysis not just of that market, but also provides comparisons with the U.S. podcast audience data from the Podcast Consumer report released earlier this year. The research was sponsored by Triton Digital, Commercial Radio Australia, and Southern Cross Austereo. The Australia results start strong, as familiarity with podcasting is at 72%. The Aussie respondents showed 29% who had ever listened to a podcast, while 17% listened to a show in the past month and 10% listened in the last week. In terms of demographics, the survey showed some trends among the monthly podcast listeners. 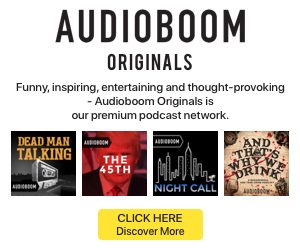 Compared with the general Australian population, podcast listeners are more likely to be employed full time and to make annual salaries of more than $100,000. Men make up 56% of monthly listeners. The report reflected some other compelling habits among the podcast base. 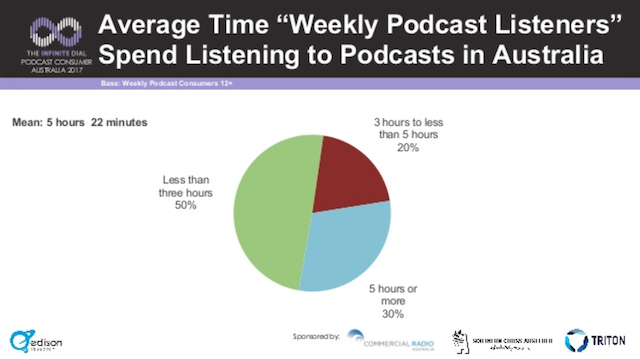 Half of weekly podcast listeners spent under three hours tuned in during an average week, while 30% listen to five or more hours. The mean time per week in that group was 5 hours and 22 minutes. The weekly audience also listens to an average of six podcasts. Three shows was the most common response at 26% of the participants. Finally, 56% of monthly listeners said they listen to entire episodes; 36% said they listen to “most” of the podcast. 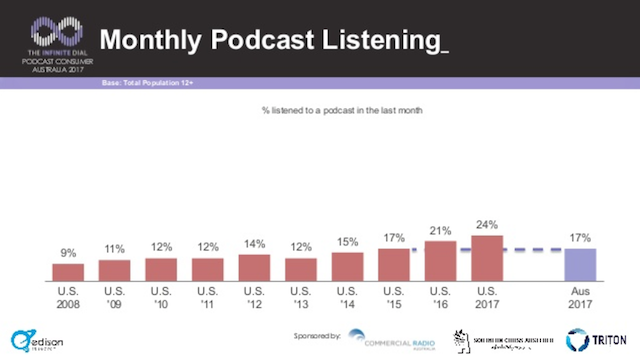 The slideshow offers direct comparisons with the latest U.S. results for the same questions about podcasting’s audience. The U.S. had lower familiarity with the term (60%) than the Aussie survey participants, but the listenership rates were higher across all three metrics (monthly, weekly, and ever listened). 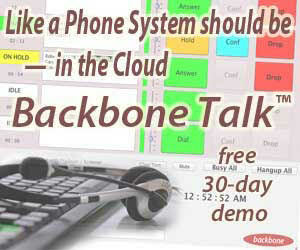 The trend of a strong, dedicated listener base seems consistent between the two markets.